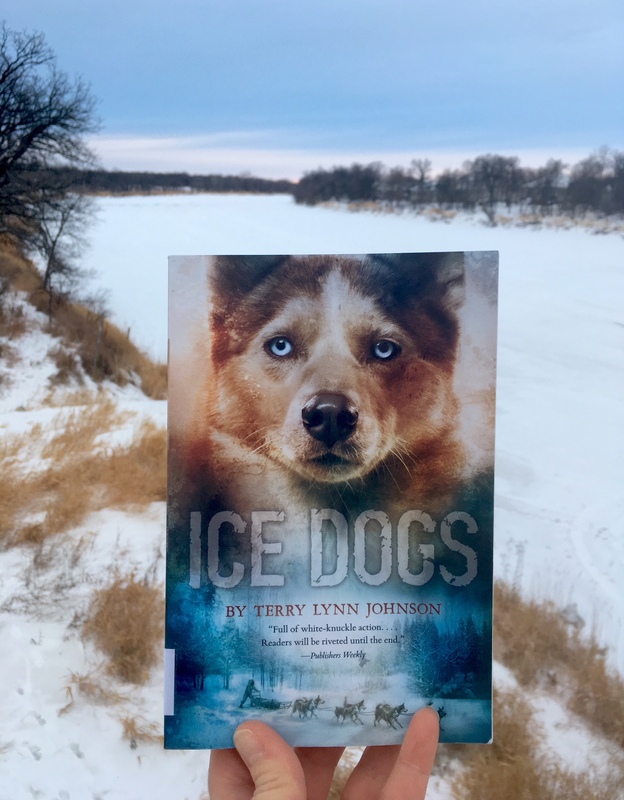 Ice Dogs by Terry Lynn Johnson (2014) Ages 9-12. ICE DOGS is an adventure novel that takes place in Alaska. Victoria is a fourteen-year-old girl obsessed with dog mushing, but she’s also coping with the loss of her mentor, her father, less than a year ago. On a quick trip to check out some new dogs, she comes across Chris, who has been injured in a snowmobile accident. Miserable weather, combined with some unfortunate circumstances, result in Victoria and Chris finding themselves lost in the wilderness with the dog team, and no idea how to find their way home. As time passes, and the situation becomes more desperate, Victoria will have to use every ounce of her strength and knowledge to get herself, Chris, and the dogs, out alive. This is truly one of the best adventure novels I have read. Victoria is a strong, capable young woman who shows true responsibility and compassion for her dogs. There is always something happening in the novel, and the tension is high. The natural elements play a large role in the book, and learning to respect nature and prepare for the unforeseen is well-presented. The book will appeal to a wide range of readers, and would make an excellent read aloud.